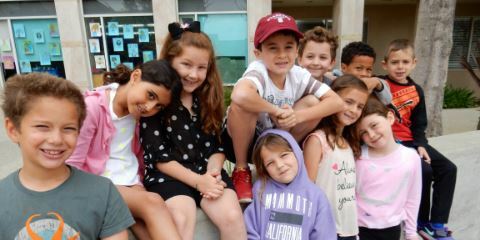 At its core, Wilshire Boulevard Temple Religious School embraces the philosophy of reform Judaism - the fusing of Jewish practice and tradition, ideals and faith, with our 21st century sensibilities, innovations, and realities. Emphasizing mitzvot, values, rituals, and a focus on tikkun olam, we offer many engaging learning options including: once a week classes, once a month programs, in home religious school and bar/bat mitzvah preparation, a variety of high school programming, youth groups, retreats, and service learning trips. Upper grade students often choose more than one of our many exciting and challenging options. With community building as the foundation of all religious school experiences, we provide an environment for active, living Judaism that is sensitive to students’ busy, often overextended schedules, and speaks directly to our families. 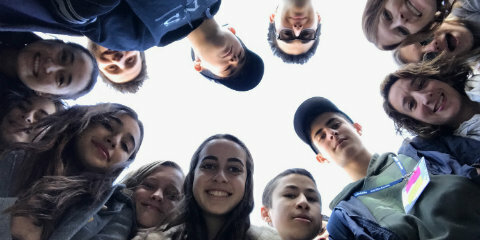 We strive to engage each student’s mind, spirit, and desire for continued connection to Judaism, our community, Los Angeles, and the world. Excellent question. Our K-12 program at the Glazer (East) campus meets Sundays from 9:00 a.m. - 12:00 pm. At the Irmas (West) campus, we have school on Sunday from 9:00 a.m. - 12:00 p.m. OR Tuesday OR Wednesday from 4:00 p.m. - 6:30 p.m.
Of course! We are absolutely committed to making this a Jewish home away from home for everyone who wants to be a part of our community. Please give us a call at 424-208-8906 so we can get to work on a plan to accommodate all of your student’s needs and welcome them into the Wilshire Boulevard Temple family.